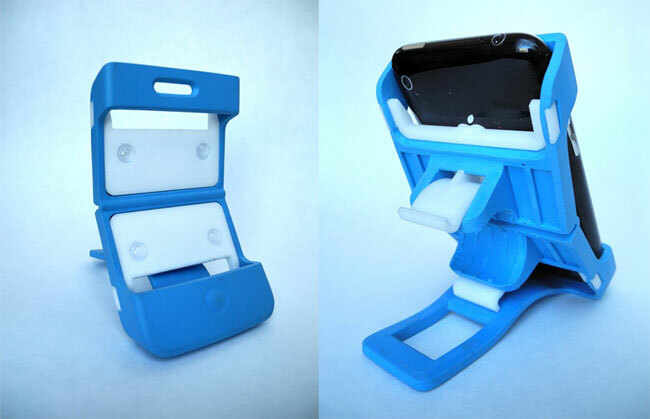 A new iPhone holder called the Mounty Mount will shortly be appearing on the Kickstarter website, trying to make the jump from concept to production, which has been designed by mechanical engineers Kevin and Eleanor. The Mounty Mount was originally designed for bicycle handlebars, but the designers soon realised that the mount would be useful on motorcycles, scooters or strollers, and would be easy to fit to any crossbar style location with its tool-free attachment mechanism. Unfortunately no information on pricing has been released as yet but the Mounty Mount is expected to land on the Kickstarter website very soon. For more information in the mean time jump over to the designers website.